If you've been seeing something like this on your phone or tablet, you're not alone. It's been happening to an apparently huge amount of users, possibly every user who updated to the latest public release of the full Facebook "Katana" app, version 100.0.0.20.70 on my Nexus 6. Android Police readers have been making their displeasure known in no uncertain terms on our Facebook page and on Google+ (including one user who seems a bit confused). 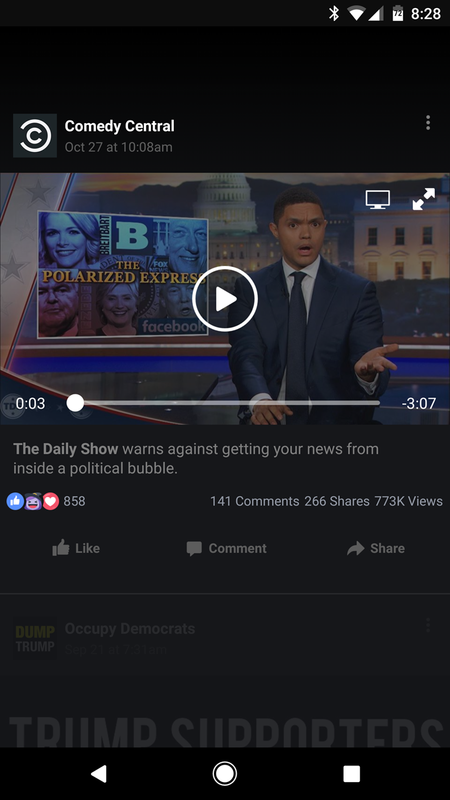 The full version of the Facebook app has been much derided lately - a lot of users have switched to Facebook Lite, for example. But this is the first time in a while that we've seen the Facebook app have such a noticeable and annoying bug. Luckily, it's easy to get rid of this issue. The beta version of the Facebook app, available through the Play Store's standard beta interface, doesn't have this bug. The beta version is also up on APK Mirror (version 101.0.0.70). 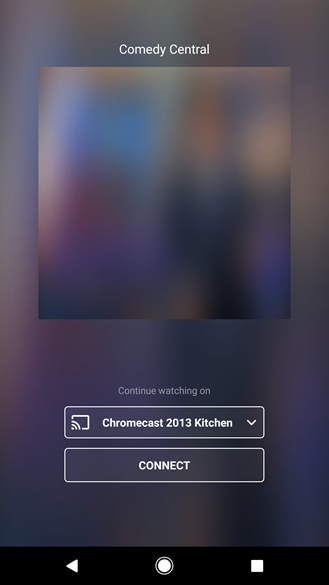 There's even better news: the Chromecast notification seems to be a precursor to full Chromecast functionality in Facebook, which was promised earlier this month. (Or perhaps this was the update intended to make it work, and it's just borked. Who knows.) In the beta version of the Facebook app, videos can be sent to a nearby Chromecast without issue and without an unkillable persistent notification. 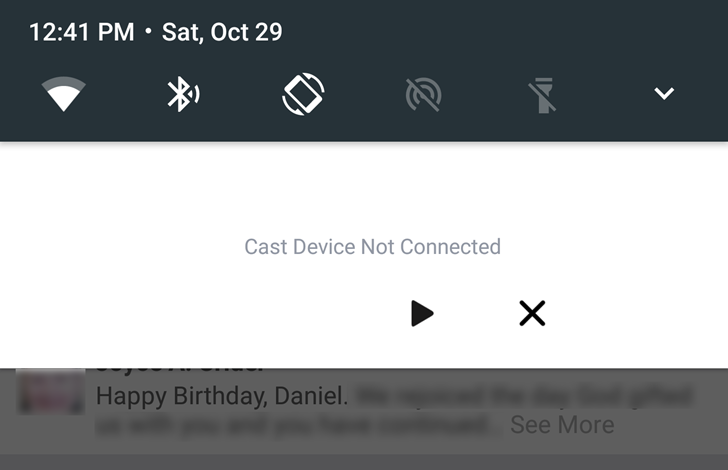 Presumably the next general update to the standard app will include both the Chromecast functionality and the notification fix. If you're tired of dealing with Facebook's bloated mess of an app, head on over to APK Mirror to try the low-data Facebook Lite, or just use Facebook in your mobile browser to avoid the headache altogether. Better yet, find a third-party solution: I'm a big fan of Swipe for Facebook, which is faster, more stable, and prettier than Facebook's primary app, and it can handle messages to boot.